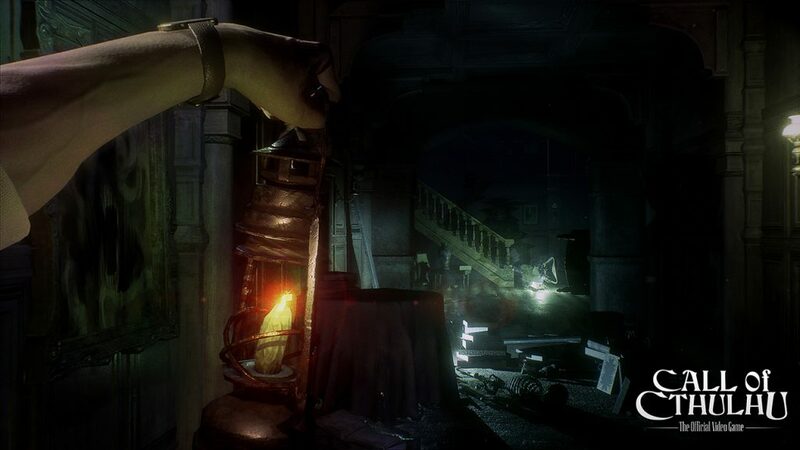 Cyanide’s Call of Cthulhu effectively embraces the eldritch horrors of the Elder Gods, creating a dark and mysterious world, but Cthulhu’s indecipherable nature also plagues much of the gameplay experience. 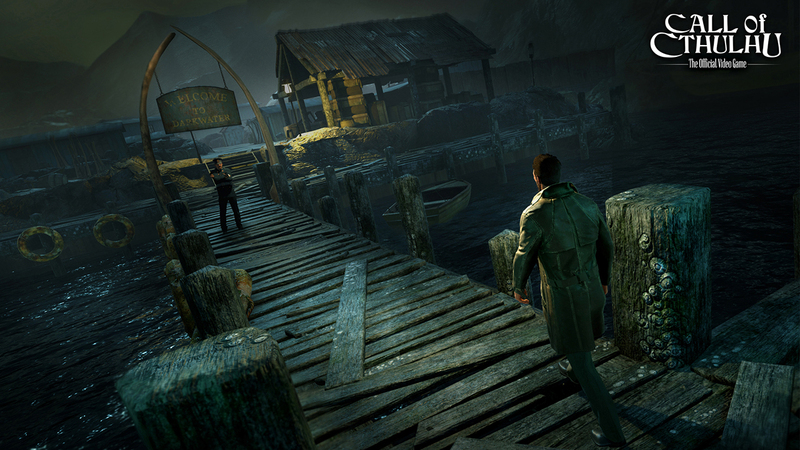 In Call of Cthulhu, you take on the role of a detective hired to learn the fate of renowned painter Sarah Hawkins and her family supposedly died in a fire at their mansion. Your investigation takes you all over (and under) the island of Darkwater, through the local hospital, mysterious caves, and even into the minds of the citizens themselves. Many of these places have unholy texts or interactive trinkets scattered throughout, and it is through these baubles that the game shines brightest. The island of Darkwater is home to more than the story of Call of Cthulhu; the island of Darkwater is a stand-in for Innsmouth; it’s just up the Miskatonic from Dunwich; it’s floating over the ancient, unknown ruins of R’lyeh. Darkwater exists as a catch-all for the Cthulhu mythos, and each philosophical text and occult medallion makes the world feel larger than what you see. Unfortunately, the snippet of the world that you can see is quite limited. The characters that call Darkwater home are uninspired, and not one of them grows or changes in any meaningful way throughout the stay on the island. This includes Darkwater’s newest addition: your character, Detective Edward Pierce. After overcoming the initial disappointment of not being able to create my own character, I was looking forward to seeing how the game built itself around Pierce’s decisions. But his narrative arc was non-existent, and he serves only as a window for the player into the murky waters of the island. I would have felt more invested in the mystery had I played my own silent protagonist than the bland (and far too talkative) detective. The game’s cutscenes (which were not rendered in-engine, unfortunately) that served as transitions between each level had Pierce take control and force the story forward. The narrative was set, and he made decisions that I otherwise would not have made for him, decisions that often did not align with my understanding of who he was supposed to be as a character. When you are in control, the skills that develop as you dive into the mysteries of Darkwater are the closest this RPG gets to customization. Completing various milestones earns you Character Points (CP) which you can use to build some of Pierce’s stats: Eloquence, Strength, Investigation, Spot Hidden, and Psychology. While Strength serves as a device for intimidation the game has no combat mechanics, and I never regretted . The others are fairly straightforward, except for Spot Hidden. Increasing your skill level in Spot Hidden reveals secret objects that would otherwise not be present. While missing out on a few paragraphs of lore from hidden texts for the sake of building up your interaction-based skills might not be the worst thing, without immediately investing CP into Spot Hidden, you are completely locked off from two of the game’s abilities: Occultism and Medicine. Both of these skills require you to find hidden treasures tucked away in corners and nestled between books rather than upgrading them with points, and the treasures remain outright invisible without Spot Hidden. Once uncovered, the esoteric nature of the trinkets fills you with knowledge untouched by generations, but their enhancements pale in comparison to the unique boons of Pierce’s hidden, eighth ability: Sanity. Sanity seems like a sensible staple for a mythos developed around madness, but it’s not until you’ve completed more than half of the game that you are prompted to use a dialogue option written in an indecipherable script, bookended by a parenthetical: (Valid SAN Requirement). I spent the remainder of the game exclusively selecting these options in the hopes that it would make Pierce do… something. It did not. Rather, insanity manifested through compressed, claustrophobic visual hallucinations. Occasionally, the screen turned green and made the camera shake, only serving to nauseate me and not directly impacting gameplay, but in other moments, horrid creatures materialized in front of me. The monstrosities themselves were horrifying and appeared lethal, but interacting with them was uneventful. In fact, the most engaging parts of the game came before the mythical horrors. Looking around Pierce’s office and beginning the investigation on Darkwater established a clear style and pace: gather information to open up new dialogue options and areas to explore. Some mechanics, like the surreal and poorly designed “Reconstruction” ability that lets Pierce magically see and hear echoes of past events, were clearly out of place, but the pacing and the world were interesting. While most puzzles in the game did fell short, the few that required a thorough investigation blended the atmosphere, mechanics, and characters fluidly, making for truly fantastic gameplay moments. It was in those moments that the game almost felt like the RPG that it wanted to be. In most others it felt like a point-and-click action adventure. At no point was this more apparent than when Pierce was finally given a weapon. When the citizens of Darkwater turn vile and corrupt (or Pierce’s mind finally snaps) you are able to defend yourself with a pistol. Pointing the barrel several feet off target and firing still connected. Ammo was not at all tracked but it could run out. It was altogether an afterthought. The gun mechanics were built knowing it would only occupy a small part of the game, but this thinking seemed to permeate every design decision. Facial and body animations ranged from rigid to ragdoll; the stylizing of investigation sequences and memories bounced between requiring long stints of useless work and being completed through a single click; missions that required stealth were nothing more than crouching and holding my controls forward. With many of the game’s more interesting abilities hidden away and the story lacking meaningful development, the only choice remaining is to submit your will to the Leviathan. Ph’nglui mglw’nafh Cthulhu R’lyeh wgah’nagl fhtagn. Free Him. 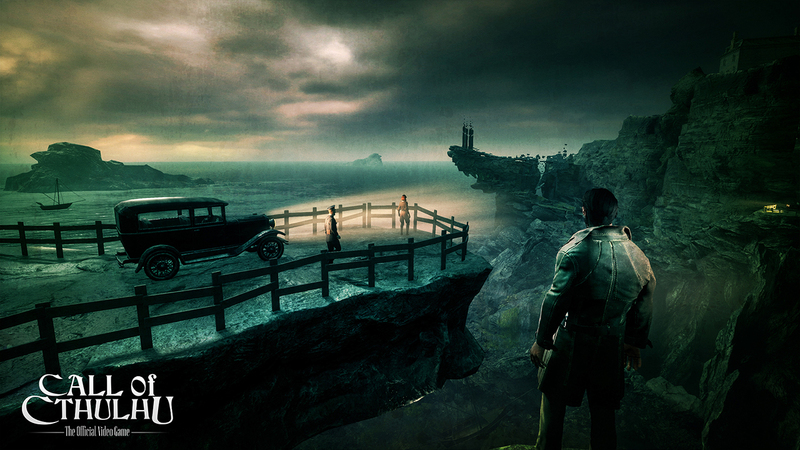 Call of Cthulhu is available for purchase in the Humble Store.